Cutting control joints in concrete is an important step when pouring a fresh concrete slab. Control joints manage the inevitable and unsightly cracking that appears in a concrete slab, often soon after it is poured. In this article, we explain what control joint cutting is, how it is different from expansion joint cutting and how and when you need to get a control joint cut made to make sure your concrete slab looks professional for many years to come. What is Control Joint Cutting? When fresh concrete is poured it is in liquid form and easily conforms to the structure it is poured into. However once set, of course, the concrete becomes a solid mass. During this hardening process the concrete shrinks. 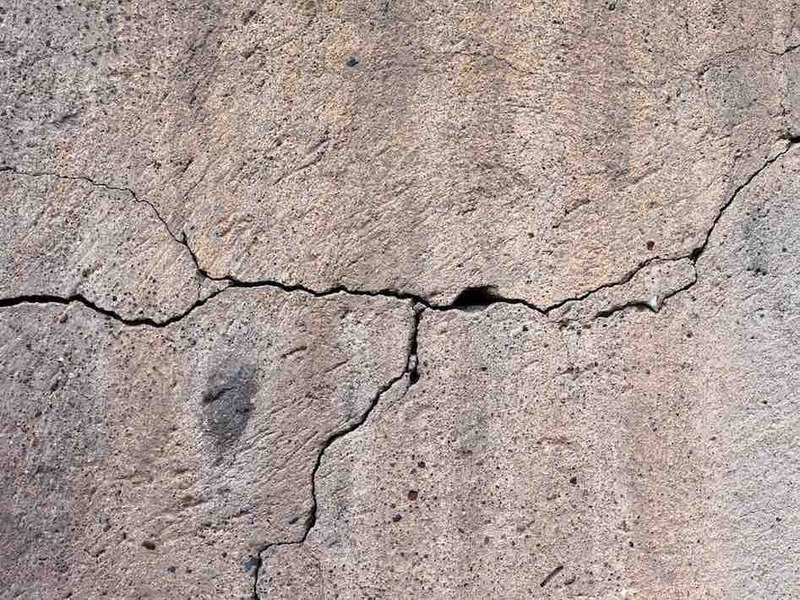 During the shrinkage stage, the concrete is prone to cracking as the concrete is stretched, the result is often an unsightly crack appearing in a random position. Concrete is a perfect material for supporting compressive forces which is why it is used as a solid surface such as a driveway. However, the tensile strength (or stretchiness) of concrete is relatively low in comparison. It is almost inevitable that a concrete slab will crack soon after pouring which is why control joints are cut within 24 hours of the concrete being poured. Control cuts add a weak point in the concrete slab and force the small crack to form along the cut rather than appear as a random jagged crack at some more obvious point. Control joints often get confused with expansion joints. The easiest way to remember the difference is that control joints aim to manage cracks and expansion joints aim to reduce cracks in concrete. Control joint cuts are also made once the concrete is poured using a concrete saw, whereas an expansion joint is a predetermined gap created between the pouring of two distinct slabs. A control joint is an intentional point of weakness cut within the slab to control where cracks will inevitably appear. Once the concrete for a slab is poured a control cut needs to be made with a concrete saw within 6-18 hours afterwards to avoid the risk of randomised cracking. The cut is not actually made the entire way through the slab but only at one-quarter the depth of the concrete. this creates enough of a weak point and encourages the crack to appear where you want it to. Other factors to consider are the type of saw used and blade choice so that the uncured concrete is not damaged or disturbed by the saw machine as it rolls across the surface of the concrete. It is also important to space out the control cuts by the right distance. Too far apart and you will get random cracking appear in between control cuts. Too close and you reduce the aesthetic look by having more cuts than you actually need. Now that you are more familiar with the purpose and method of control joint cutting in concrete, it is important to have a professional complete this task for you. Having gone to the trouble of getting your concrete slab perfectly prepared and poured there is nothing worse than having an unsightly crack appear a few days after it’s set that you can’t do anything about. A professional concrete cutter will place the right control cut using the right equipment making sure there are just enough cuts to manage any cracking in your concrete slab. Ya, the prime concern of concrete cutting tools is to have someone who is having good expertise on particular equipment.